Luv Preston works alongside local businesses and individuals to help raise money and awareness for the work we do. We are very grateful for the support we have had over the last 10 years, this has helped to keep the projects running consistently making a real difference to many people in the city. If you are a local business or individual who would like to help in anyway please contact us. Below is some of the support we have received over the the last year. 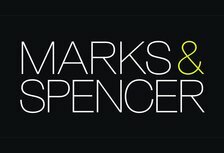 During spring and early summer 2017 Marks & Spencer’s at St Georges shopping Centre worked with us as part of their Spark Something Good initiative. The project was to restore the Luv Preston Community bus that has been out of action for over a year. They invested time, resources and staff and did an amazing job to which we are very thankful for. 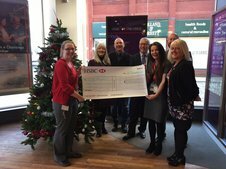 HSBC Bank on Fishergate made us charity of the year in 2016. They held various fundraising activities over the year presenting us with a cheque in the December 2016. They raised over £700 to help us with our work. 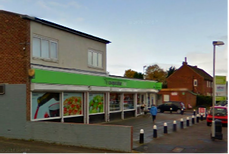 Luv Preston were recently nominated as one of the local charities to donate to at the Cooperative food branch at Larches as part of their membership donation scheme. They raised over £3000 in 6 months for which we are very grateful for. If you would like to volunteer with us and be a part of our work, we are currently looking for volunteers to work the till at our Charity Shop and also our RePaint project. if you are an enthusiastic individual who wants to make a difference to their local community we would also love to hear from you. Your contribution of any amount of time will have a hugely positive impact on Preston and help change lives for the better.